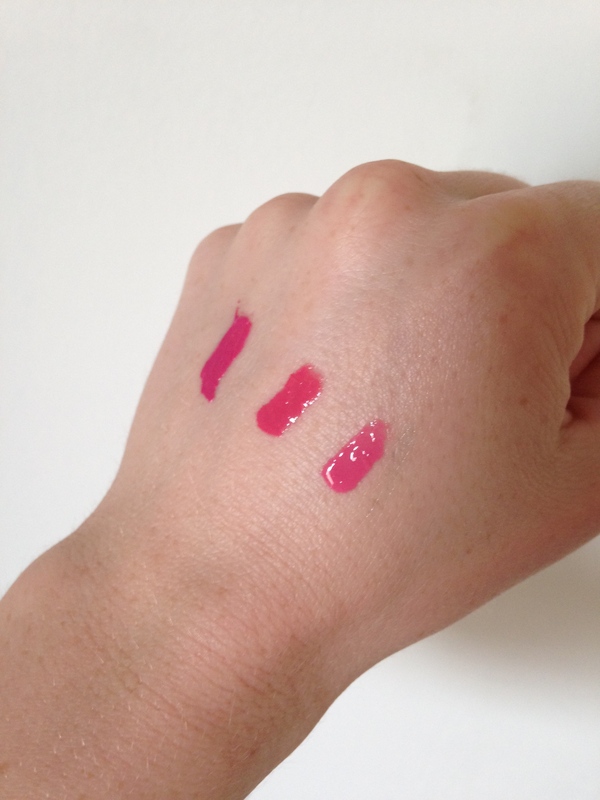 Highly pigmented lip glosses are great because they serve as an all in 1 look. They contain enough pigment to match a lipstick with the shine of a gloss. I have some great colors in my collection that are perfect for spring and summer! 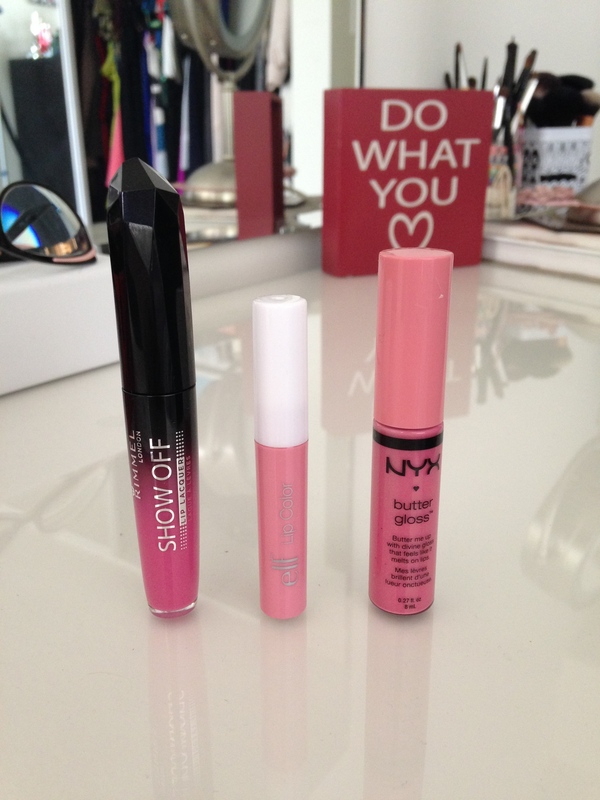 Pictured below are my favorite 3 lip laquers in my collection. These products provide great color pay out and are long lasting. Each is a drugstore product brand ranging from $1-$5.